Climate change, which drives up temperatures and increases the risk of drought, could affect piñon trees in two ways: by drying them out and through “carbon starvation,” which can reduce or even fully halt photosynthesis. In a troubling new study just out in Nature Climate Change, a group of researchers says that a warming climate could trigger a “massive” die-off of coniferous trees, such as junipers and piñon pines, in the Southwest sometime this century. The study is based on both global and regional simulations – which show “consistent predictions of widespread mortality,” the paper says – and also an experiment on three large tree plots in New Mexico. The work was led by Nate McDowell of the Los Alamos National Laboratory who conducted the research along with 18 other authors from a diverse group of universities and federal agencies, including the U.S. Geological Survey. “We have fairly consistent predictions of widespread loss of piñon pine and juniper in the Southwest, sometime around 2050,” McDowell said. The study examined both an extreme warming scenario – which recent climate policies suggest we may be able to avert – and also a more modest scenario that would likely bring temperatures 2 degrees Celsius above pre-industrial levels by the year 2100, but not necessarily by that much. The more extreme scenario was certainly worse for these trees, but even under the moderate scenario, the negative results were merely “delayed by approximately one decade,” the study found. The problem is that climate change is expected to not only increase the risk of drought, but will also drive heat up in general. And this could injure trees in two ways – simply drying them out, but also leading to “carbon starvation.” This could occur if, faced with dry conditions, tree leaves close their stomata to keep water in, but therefore cannot bring in more carbon dioxide and thus suffer from reduced or even fully halted photosynthesis. 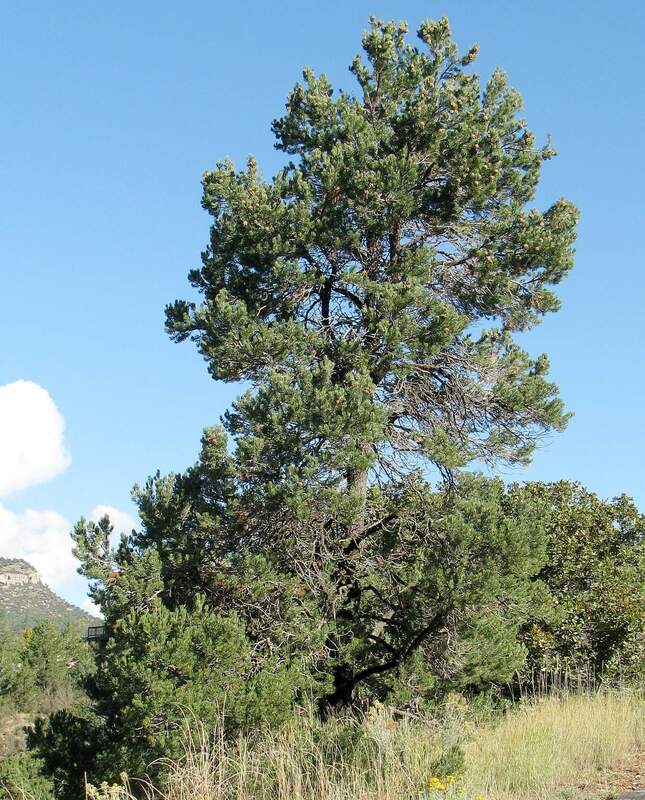 In the field experiment, conducted over five years, the researchers found that depriving trees of 48 percent of usual rainfall led to 80 percent mortality of piñon pines more than 100 years old – in other words, fully grown trees – and a 25 percent loss for junipers. “Taken together, they validated regional predictions and the global simulations predict widespread conifer loss in coming decades under projected global warming,” the research concludes. What is perhaps most striking is that even hardy juniper trees were found to be threatened in the research. Taking it all into account, then, the study concludes that there is “a high likelihood that widespread mortality” of these types of forests will occur by 2100. So many trees could die and decompose, in fact, that the study suggests that 10 gigatons of carbon – equivalent to 36.67 gigatons of carbon dioxide – could be emitted to the atmosphere as a result, in forests across the globe. That would amount to a positive feedback that would worsen human-caused climate change; indeed, the number is pretty similar to one year’s worth of the globe’s current fossil fuel emissions. Overall, the news worsens an earlier scientific outlook which had already suggested that U.S. forests, as a whole, could store less carbon in the future than they currently do – and thus, offset fewer U.S. emissions. Granted, there are uncertainties in these projections, but McDowell said that while the models might overestimate tree death, they could also underestimate it. For instance, he pointedly observes that wildfires are not even included in the models in question – and that’s a major factor that could compound tree loss over the course of the century, especially when combined with drought. Most striking, of course, is that even a lesser warming scenario, closer to what the world is now shooting for under the Paris agreement – limiting warming well below 2 degrees Celsius – but still likely beyond it, would still trigger these devastating consequences. “2 C is huge for trees,” McDowell said.